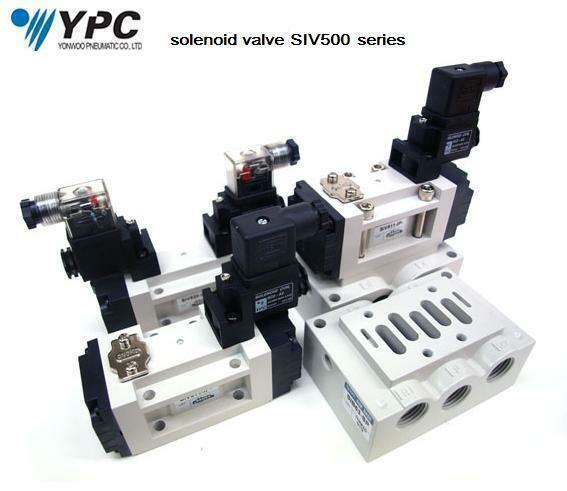 The basic principle of the separating solenoid valves is based on a piston movement that closes and opens the individual valve paths. The piston is propelled by an electromagnetic coil. The state of absence of voltage on the coil is called the normal position of the valve. Valve 3/2 normally open – it is a valve with 3 connections and 2 positions, in the normal position it supplies e. g. a one-way actuator – an open path between the power supply (1) and the receiver (2), after applying voltage to the coil it closes the power supply connection (1) and opens the way for venting the actuator (2 and 3). Valve 3/2 normally closed – operation analogous to that of a normally open valve, except that the supply route in the normal position is closed and the vent path is open. 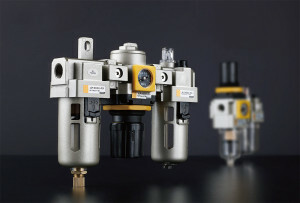 4/2 mono and bistable valve – two-position valve with 4 connections – supply connection (1), receiver connections (2 and 4) and vent connection (3). In the first position there is an open path between the power supply and the first connection of the receiver (1-2) and the distance between the second connection of the receiver and the vent (4-3), after changing the valve position, the second connection of the receiver (1-4) is supplied while the first connection of the receiver is vented (2-3). In the case of monostable valves (with one coil) one position is normal, the change of position requires the supply of voltage per coil. In bistable valves (with two coils) both positions are normal states and the change of position requires only a pulse to the corresponding coil. 4/2 valves are rarely found in pneumatics. 5/2 valves with two separate vent routes are usually used. Valve 5/2 mono and bistable – valve with 5 connections and 2 positions, has a supply connection (1), two receiver connections (2 and 4) and two vent connections (3 and 5). In the first position, the routes are opened between the power supply and the first connection of the receiver (1-2) and between the second connection of the receiver and the vent (4-5). 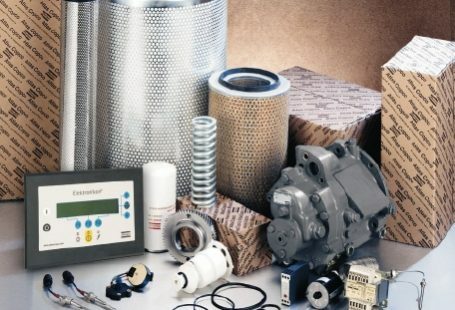 The second position opens the way between the power supply with the second receiver connection (1-4) and simultaneously venting the first receiver connection (2-3). Valve 5/3 – it is a valve with the same connections as valve 5/2, performs identical functions in the most extreme positions, but additionally it has a central position, which in this valve is always normal position. 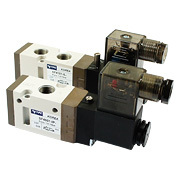 The 5/3 solenoid valves have two coils, which is why they are sometimes mistakenly called bistable by some “experts”. 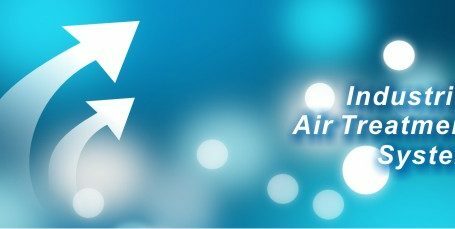 In fact, they have only one stable state in the middle position, and changing the valve position requires voltage to be given to the corresponding coil.